Rutgers University–New Brunswick undergraduate students hail from 49 states and 87 countries around the world. 93.3% of students return for their second year at Rutgers University–New Brunswick. The six year graduation rate for RU–NB undergraduates is 80.2%. In the 2018 cycle, Undergraduate Admissions at Rutgers University–New Brunswick reviewed applications across almost 49,000 applicants. In 2017-2018, the average undergraduate student award at Rutgers University–New Brunswick was over $17,000, with over 14% of first-year students offered merit-based scholarships. 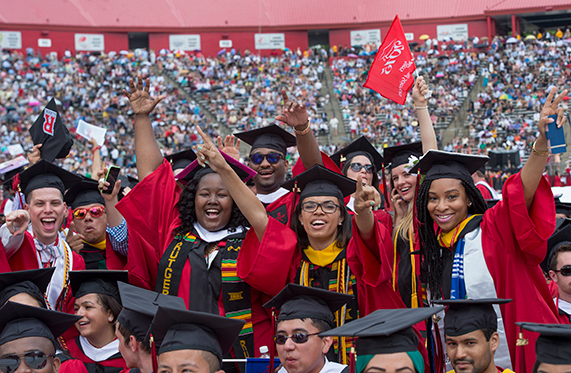 Rutgers University–New Brunswick graduated a record number of students in 2018, with the Registrar conferring 11,303 undergraduate and graduate degrees. The Division of Enrollment Management at Rutgers University–New Brunswick (EM–NB) is driven by research, galvanized by progress, and motivated by a relentless commitment to student access and academic excellence. EM–NB works at the intersection of administration and innovation to set enrollment strategy, foster student success, and inform university policy and practice. Through the areas of Undergraduate Admissions, Financial Aid, Registration, and One Stop Student Services Center, EM–NB attracts the best and brightest students to Rutgers’ flagship campus, supports them through their time on the banks, and celebrates their graduation each year. 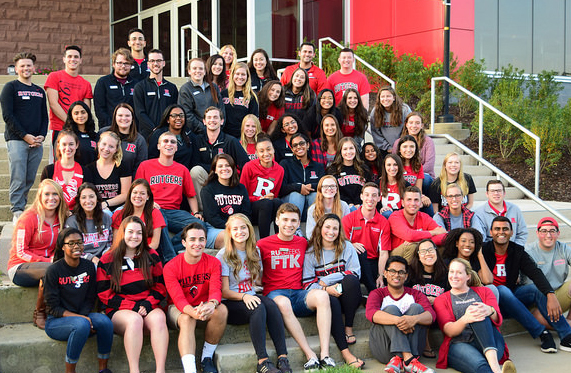 The Rutgers University—New Brunswick Office of Undergraduate Admissions serves to engage and enroll undergraduate students who are prepared to thrive, inspired to become active members of the campus community, and who will contribute to the diversity of thought and experiences represented by the institution. The Office of Undergraduate Admissions achieves this through the recruitment, selection, and enrollment of a high-achieving, dynamically talented, and diverse student population. Through programs, communications, and services, Admissions aims to convey the rigor, spirit, and promise of a Rutgers education to the state, the nation, and the world. Providing the highest quality service to undergraduate, graduate, and professional students in pursuit of their academic goals, the Office of Financial Aid at Rutgers University–New Brunswick is committed to assisting students and families in planning for and meeting expenses associated with attendance at the university. 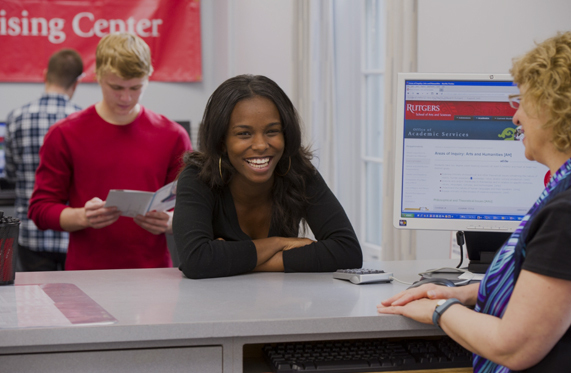 The One Stop Student Services Center at Rutgers University–New Brunswick represents an integrated and coordinated cross-functional service in the areas of financial aid, student accounts, and registration. Through strong customer service and effective use of technology, the center serves as a “single point of service” across these areas to promote a progressive, simplified, and consistent student experience and a culture that supports student satisfaction and success. 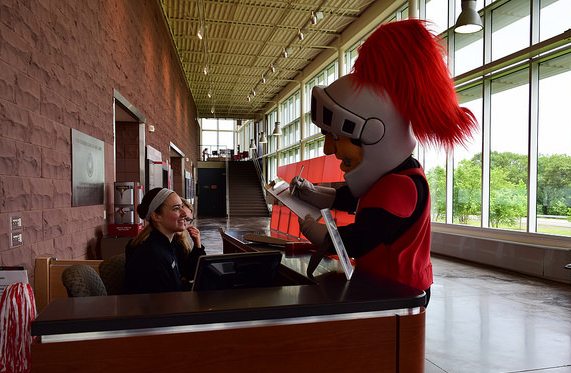 The Registrar at Rutgers University–New Brunswick believes personalized high quality service is a necessity for achieving a rewarding experience at Rutgers. The Registrar is committed to supporting this goal by working together to recognize and meet the needs of Rutgers students through mutual respect and partnership.